Marcus West, son of Simeon West, built the Princess Theater in 1916. Architect Arthur L. Pillsbury designed the brick theater with limestone accents. 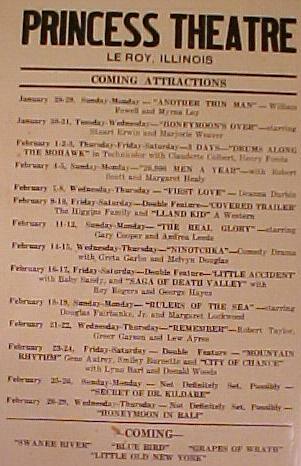 The first movie was "Tennessee's Partner" on November 21, 1916. 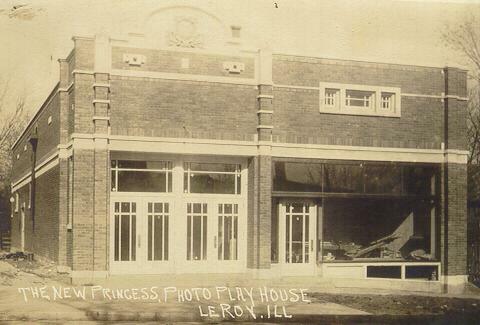 The original theater was a silent movie house with piano accompaniment, as "talkies" did not make their debut in LeRoy until 1931. 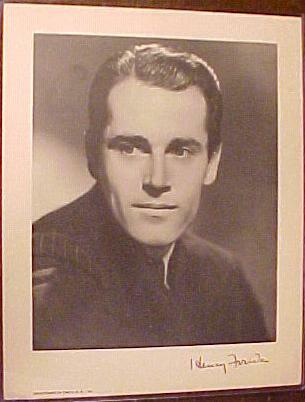 A grandson of Marcus West recounts that West's daughter, while in high school, substituted as piano player when the regular player was unable to accompany the film. Karen Edwards operated the theater during the 1970s. John Graham purchased the Princess during 1977; Graham e-mailed "I noticed on the Princess website that you are displaying the old MotioGraph projector in the lobby. I rebuilt that thing one time (the intermittent movement). Quite a thing." After three years,in 1980, Graham sold the Princess to Maurice Schiff of Urbana. In 1984, Scott Graham, no relation to John Graham, bought the theatre from Mr. Schiff. With his experience from owning two other theatres, Mr. Graham had big plans to renovate the Princess by using a medieval/tudor type look, even including a wrought iron chandelier in the main lobby. His renovations began and even got him electrocuted, but unforeseen circumstances led to Mr. Graham having to sell the theatre. In October of 2003, the Princess was purchased by David A. Kraft and Kris and Susan Spaulding. After 10 months of renovation and remodel, the theater re-opened on August 6, 2004 with Disney's "Around the World in 80 Days". The Princess was awarded a Heritage Award from the Preservation And Conservation Association for the renovation. With both families living outside of LeRoy, the commute proved to be too much and the theatre closed in November 2006 only to be reopened less than a month later. Michael E. Hanafin purchased the theatre from Kraft and Spaulding in December 2006. He and his family regularly attended movies there and did not want to see the theatre close down again because it was such a huge asset to the community . Hanafin finished renovating the exterior of the building and finished some minor remodeling on the interior of the building. Ben Slotky, former owner of the Castle Theatre in Bloomington, IL, was hired to manage the theatre for Hanafin until Septemer of 2007 when the Hanafin family decided to run the theatre on their own. Mike's whole family takes part in the operation of the facility with his wife Gail running the ticket booth and tending to the birthday parties and free movies. His three daughters, Christie Mash, Dawn Hanafin and Heather Wilkins all serve as the projectionists, film bookers, concession managers and event planners, all dealing with the general operations of the theatre. Hanafin has four grandchildren, Abbi, Mikey, Morgan and Hunter, who all have their specific duties to perform at the end of each showing. They plan to have the theatre in the family for a very long time. In 1937 Mr. & Mrs. John L. Frieburg, Sr. purchased the Princess Theatre from a Mr. Woods and began remodeling. They put in 329 new seats, wall coverings and new projection equipment with the very latest sound system. The lobby was repainted, new flooring and large frames for the advertising posters were added. 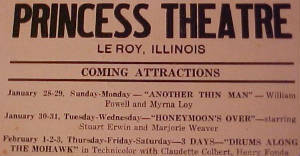 The outside marquee with The Princess Theatre was hung. 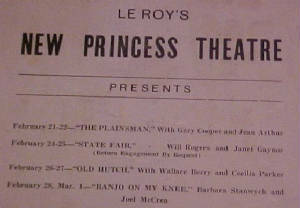 The operation of the Princess Theatre was a family business. Mrs. Frieburg sold the tickets at the ticket window. The price of tickets was 25 cents for adults and 10 cents for children under 12 years of age. Mr. Frieburg, Sr. collected the tickets until time to start the projectors. 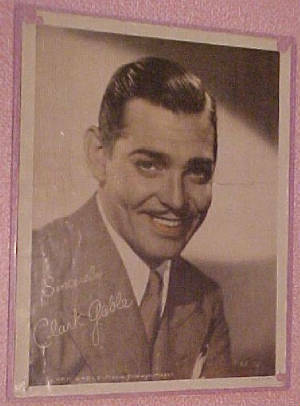 He ran the projectors during the show, the movies were known as shows. John L. Frieburg, Jr., known as “Bud” then stepped in taking tickets until time to usher. “Bud” and daughter, Patricia A. Frieburg, “Pat” ushered patrons arriving after the show started to vacant seats. Youngest daughter, Eileen I. Frieburg, stayed with her nanny at the family home on Center Street during the shows. The theatre was open six nights a week and closed on Tuesday. Three different shows played each week. Short subjects, newsreels and cartoons were shown before the feature. Shows ran Sunday and Monday, Wednesday and Thursday, and Friday and Saturday. The show was run twice each night with the first beginning at 7pm and the second at 9pm. As business continued to grow two Sunday afternoon matinees were added at 3pm and 5pm. Ushering was brisk at times with people waiting for a vacant seat. Patrons arriving late would stay into the beginning of the next showing to catch what they had missed. Seating was placed later in the lobby for people awaiting a seat in the auditorium. The next addition was a candy case in the lobby. Not long after a popcorn machine appeared. No drinks were allowed in the auditorium while the Frieburgs owned the theatre. The water fountain at the front door of the lobby, which was usually busy, provided liquid refreshment. Candy sales were later ended and popcorn was the only available snack. Mr. Frieburg made the popcorn in the lobby before opening the theatre. A box and bag were the two sizes sold. Frequently people stopped in just for popcorn and a visit with the Frieburgs. Change always enhanced business. The next big excitement was the cash JACKPOT, which was drawn between the Thursday shows. To win the JACKPOT patrons had to attend the Wednesday or Thursday night show. If the person’s name which was drawn was not there to claim the money and had not been to the show on Wednesday $10.00 was added to the JACKPOT for the next week. If the JACKPOT was claimed the next week started over at $20.00. TV arrived in the community and big changes were coming in the movie industry.